Cohesion. A senior exhibition exploring the interconnectedness between ourselves and the relationships we form with one another. 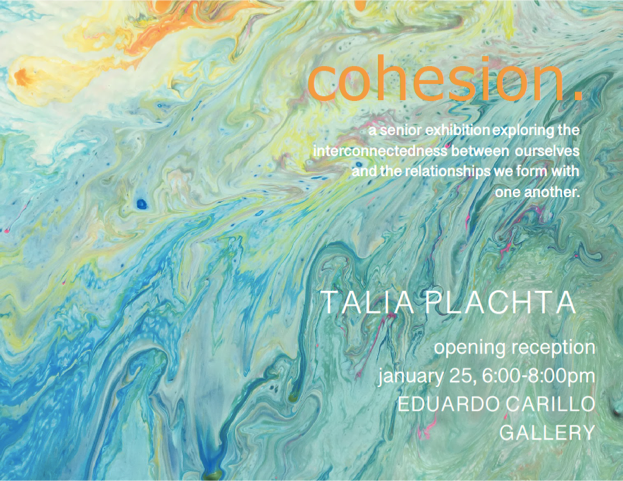 My Senior Art Show "Cohesion" will run from January 25 - 30, 2019. Come and join me on Friday, January 25th at the Eduardo Carillo Gallery at Elena Baskin Visual Arts for the opening reception.